Rotary switches can be either manually or automatically operated. They are an economical, reliable tool in many applications through industry and commerce as well as in consumer products contexts. Rotary Switch – Sytek Enterprises Inc. There are many different kinds of rotary switches, and they can be found in many contexts. 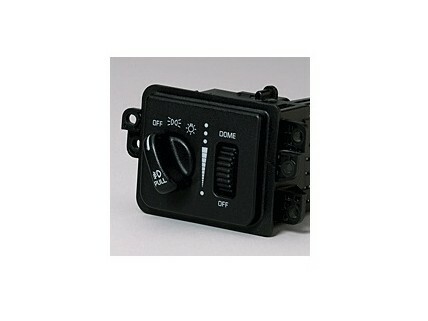 One of the most recognizable rotary switch varieties are light dimmer switches. This electric switch variety is among the simplest and most affordable. Rotary light dimmer switches can be found in homes and all kinds of places of business. They are used in offices, industrial facilities, theaters, movie sets and in many other settings. In addition to their widespread use as dimmer switches, rotary switches are widely used in many other contexts. They can be affixed to musical instruments and sound mixing boards as volume adjustment switches. They can also be used for the same purpose on personal audio equipment in home stereo systems and in automotive audio equipment. Rotary switches are often found on switch panels in airplanes, multi-frequency radios, televisions and many other electronic utilities. Rotary switches can also be designed with access inhibitors. For example, a car ignition switch can only be accessed by a specially designed key. Similar designs are employed on circuit breakers in large buildings and on many kinds of heavy equipment. A rotary switch consists of a shaft, the “rotor,” that has a contact arm, the “spoke,” that projects from its surface. Rotary switches have an array of contacts arranged in a full or partial circle around the rotor, connecting the switch to any number of different electrical circuits. Rotary switches are much more advanced and complex than simpler switch varieties like toggle switches. While toggle switches are usually single pole, single throw (SPST) devices, rotary switches are capable of controlling complex circuits, which often can be integrated with responsive software. This is often true in car stereo systems that feature maximum volume levels despite the continuous rotation of the attached rotary switch. While some rotary switches can be used to control very complex equipment, others can be used to control comparatively simple circuits. In an electric stove, for example, rotary switches simply allow or restrict the flow of electricity to the stove’s heating coils. Rotary switches are an effective and efficient circuitry control tool. Rotary Switches A rotary switch is an electric switch that is operated by rotating a control knob that is connected to circuitry.